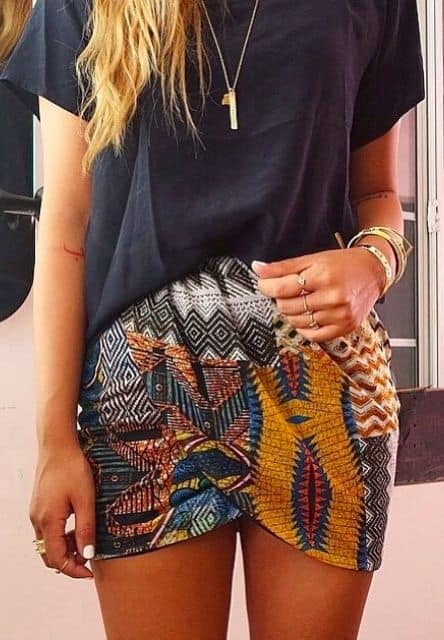 Outfits with indian print are often better worn on their own, but if it’s a skirt or a tunic you might want to check out these tips on what to wear with indian prints. 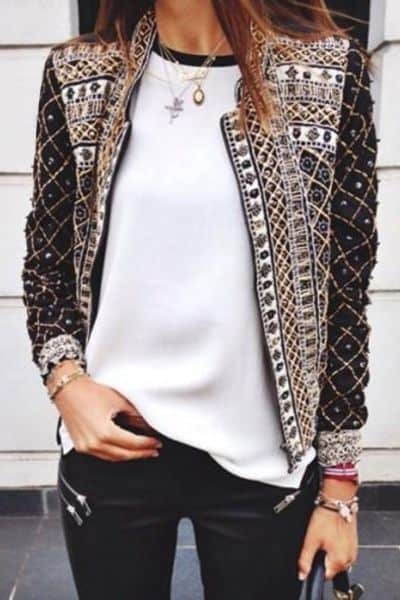 The thing is that most patterns of this kind involve so many tiny and complicated details and colors that looking for the clothes that would really match both the motive and the color can become a real torture. 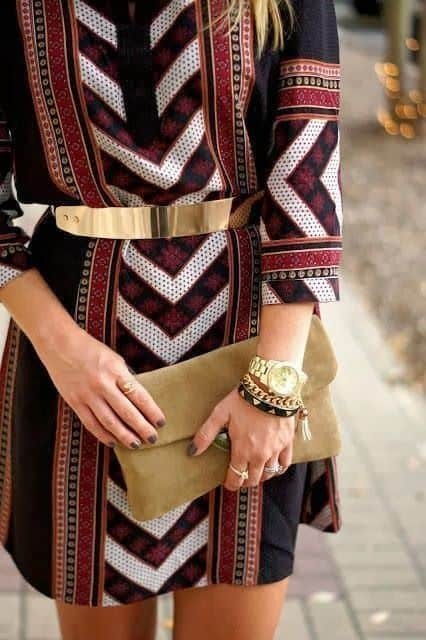 Yet there’s one thing indian prints have in common and it’s the preference of natural hues and shades. Even if the fabric features bright blue and yellow shades this rule’s gonna apply to it too. 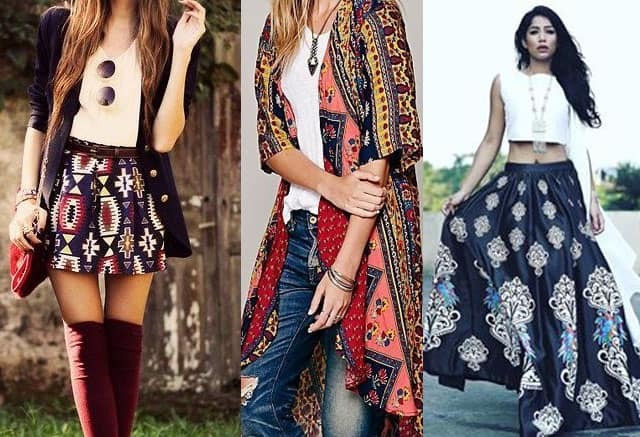 Wondering how to wear indian print for an authentic look go for the colors that would remind you of something indian or natural: beige for unbleached cotton or linen, terracotta for indian spices and khaki for henna powder. 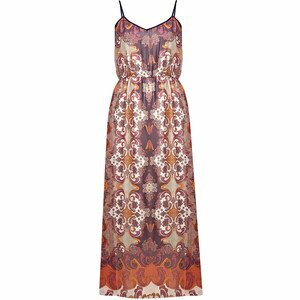 Don’t forget to make sure the fabric itself is organic: indian prints look really weird and unnatural on synthetic clothes. 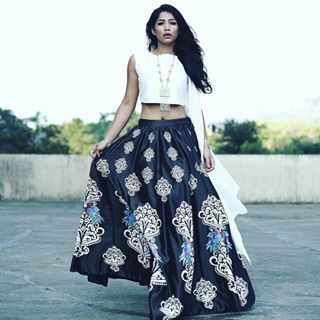 Indian printed palazzo pants with white lace top is an unforgettable outfit with oriental style notes, which are harmoniously blended tradition and fashion.